Whether you're moving to the next state over or all the way across the country, you can count on Advance Relocation Systems for efficiency, flexibility, and value. Whether you are moving on your own or with the help of your employer, we'll offer services to work with your schedule and your budget. During our 75 years in business, we have built a reputation in the moving industry for providing exemplary service and quality. Flexibility - a key component to making your move seamless and hassle-free. As your long-distance mover and, an award-winning Atlas agency, our commitment to service and dedication is solid. Whether you’re moving to the next state over or all the way across the country, you can count on Advance Relocation Systems for efficiency, flexibility, and value. 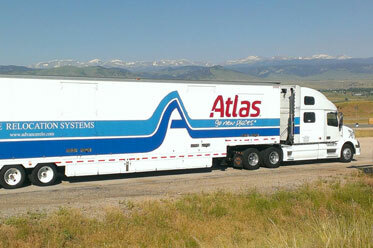 Since 1969, we have been a proud agent of Atlas Van Lines - the best-known name in moving. You will benefit by having access to moving services through Atlas’ network of domestic long-distance movers. When you call Advance Relocation Systems, your move will be easy and hassle-free, getting you to your long-distance destination quickly and smoothly. We begin our moving process by understanding your expectations. Whether you are moving on your own or with the help of your employer, we'll offer services to work with your schedule and your budget. We want you to be comfortable throughout your move. If you don’t want to pack yourself, take advantage of our full-service packing. Advance Relocation Systems will accommodate whatever is best for you. Flexibility - a key component to making your move seamless and hassle-free. During our 75 years in business, we have built a reputation in the moving industry for providing exemplary service and quality. As your long-distance mover and, an award-winning Atlas agency, our commitment to service and dedication is solid. From an in-home consultation to provide you an estimate on the spot, to our online free moving quote form here our job is to handle everything for you in a streamlined, organized and efficient manner.